It may not resemble Napa Valley quite yet, but Massachusetts is stepping up when it comes to winemaking. 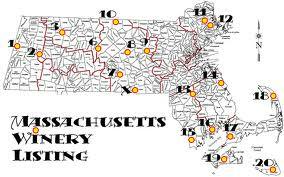 State agriculture officials say there are now 40 licensed wineries in the Bay State, most of them small, family-owned operations. That’s more than triple the number that existed less than two decades ago.